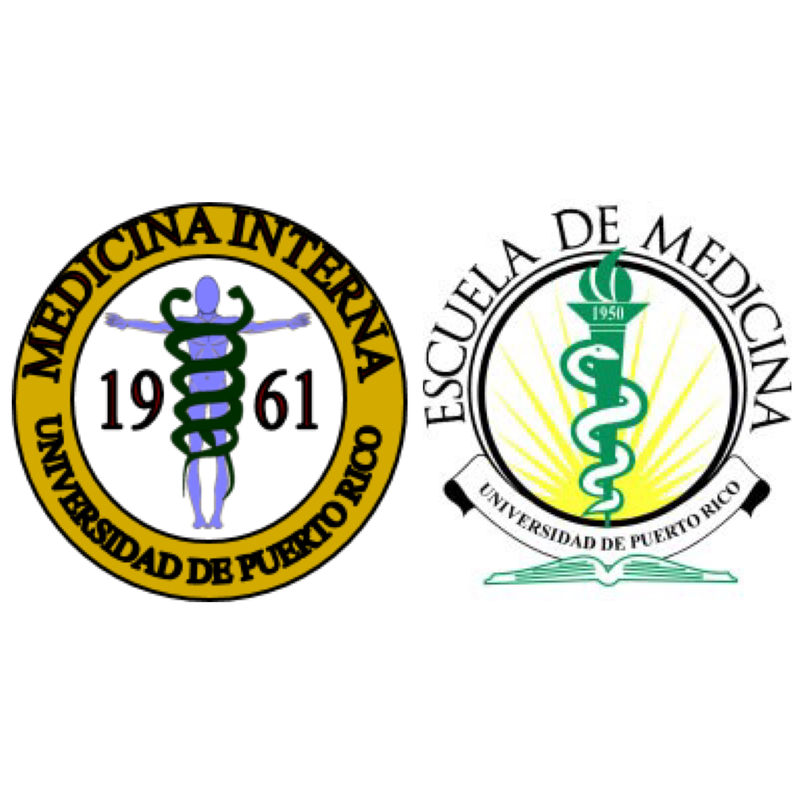 The Internal Medicine Residency program of the University of Puerto Rico was founded on 1961. Since that time, it has trained many of the Island’s most prominent Internal Medicine physicians, with many of our graduates holding important positions in private practice, academia and government both in Puerto Rico and in the continental United States. Our three year ACGME accredited Internal Medicine residency program accepts 15 new categorical Residents per year. Our ABIM board exam pass rate for first time takers was 96% in the last three years (2012-2014), which is well above the national average for Internal Medicine Residency programs. Since 2007, 128 out of 130 graduates have passed the ABIM board exam on their first attempt. Our program has maintained continuous accreditation by the ACGME since 1961. Our Residents are trained in facilities encompassing all levels of healthcare, from our main site at the Puerto Rico Medical Center, which is the only supra-tertiary facility in Puerto Rico; the Cardiovascular Center of Puerto Rico; the University of Puerto Rico Hospital at Carolina; and the UPR School of Medicine Clinic. Rigorous academic and research curriculum, with protected time for research activities and ample opportunities for mentorship by renowned researchers from the University of Puerto Rico and its affiliated institutions. In the past three years, over 80% of our graduates have gone on to complete fellowships in different subspecialties in Puerto Rico and the continental United States.